Big data, artificial intelligence (AI), and radiomics will be among the hot topics at ECR 2018. 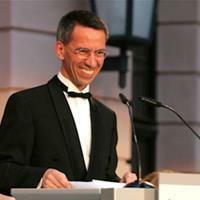 The meeting is only six months away, and in this interview, ESR President Dr. Bernd Hamm looks ahead to the central themes on the agenda for Vienna. 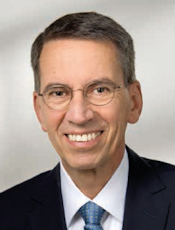 Hamm is professor of radiology and chairman of all three merged departments of radiology at the Charité, Humboldt-Universität zu Berlin, and Freie Universität (Campus Mitte, Campus Virchow-Klinikum, and Campus Benjamin Franklin). 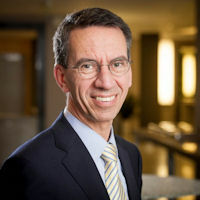 He is also president of the European Society of Radiology (ESR) and clinical director of the Charité Center, which includes radiology, neuroradiology, nuclear medicine, and medical physics. ECR 2018 will take place from 28 February to 4 March in Vienna. Which aspects would you like to recommend to your colleagues? 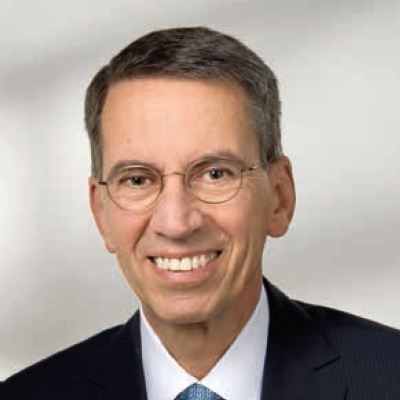 Dr. Bernd Hamm is professor of radiology and chairman of all three merged departments of radiology at the Charité, Humboldt-Universität zu Berlin and Freie Universität. Image courtesy of the ESR. Hamm: The current hot topics in radiology are big data (challenges and risks when dealing with ever larger amounts and varieties of data), artificial intelligence, and radiomics. These are exciting issues that we have to deal with in the near future by recognizing the potential these developments have for us in terms of improving the quality of our work and patient care. We need not fear them as threats. I firmly believe that radiologists will always have a pivotal role in both diagnostic and interventional therapeutic patient management. And I also firmly believe our specialty will benefit from these developments. Innovations mean advancement -- a case in point in radiology is hybrid imaging, which will be another focus at ECR 2018. Another ECR format gaining significance that I would like to recommend to my colleagues is the "Clinical Trials in Radiology" sessions. These sessions are a platform for presenting the most recent prospective studies and results of multicenter trials. This is a true asset in the era of evidence-based medicine in radiology. Furthermore, I hope that ECR 2018 will again be remembered for a grand opening ceremony, the honorary lectures, the social events, and most of all for a spirit of friendship and open-mindedness. The essence of the ECR is to provide a platform where the presentation of high-quality scientific and educational content goes hand in hand with initiating and deepening professional contacts, networking, and making new friends. 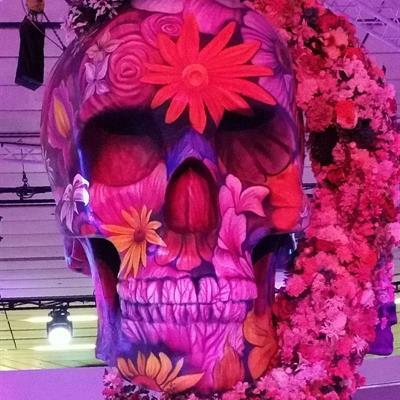 Which new and unusual features will be seen at ECR 2018? The ECR has a worldwide reputation for tackling new challenges and always being open to, and even introducing, innovations. For instance, we started to present our lectures via livestream years ago. Nowadays, not only are all lectures streamed live, but they can also be viewed after the congress, via ECR Online for 12 months, until the next congress. In 2017, already almost 6,000 ESR members attended the congress remotely. Digital ECR attendance is on the rise and meets the demands of our members. For ECR 2018, we are going to use ECR Live to offer a special service to our colleagues in China: 50 scientists from various Chinese provinces will come to Vienna and translate 500 selected presentations into Mandarin. These presentations will then be available with Mandarin subtitles, on demand, after the congress in China via ECR Online. This will certainly provide the ECR with an even bigger global presence. I am very much looking forward to seeing how this turns out and eager to see what the feedback will be. This is important for getting more people interested in our society and promoting international cooperation. Further new ideas I would like to highlight refer to new formats we are presenting. At ECR 2018 we will provide a platform for residents and young radiologists who would like to present their thesis as a first author, in a dynamic and entertaining scientific session. These can be presented to an international audience in a concise and catchy way in a brand new session titled "My Thesis in 3 Minutes -- MyT3". Anyone who would like to present their thesis in such a "speedy" focused manner is encouraged to apply. For this new format we have rented a spectacular new location, the Sky High Stage, overlooking the Austria Center and providing a magnificent view of Vienna from the top of the nearby Saturn Tower. "Coffee & Talk" sessions are another new format. In a relaxed atmosphere in one of the Austria Center's stylish lounges, short lectures and discussions will be offered on topics such as clinical decision support, challenges for department chairs, undergraduate teaching of radiology, radiation protection, and imaging biobanks. Participants are invited to stop by and contribute to the informal discussions while sipping their coffee or tea. In addition, I am anxious to see how our new project "Interventional Radiology at the Cube" will turn out. For this we have rented rooms in a nearby church, a contemporary architectural gem in a cuboid form, made of dark chromium steel; hence the term the Cube. The program there is intended to introduce young radiologists to the fascinating subspecialty of interventional radiology (IR), and to provide enhanced knowledge of IR to radiologists who need it in their everyday professional life. Lectures and hands-on workshops focus on interaction with the participants, simulating clinical routine and concentrating on practice-oriented contents. 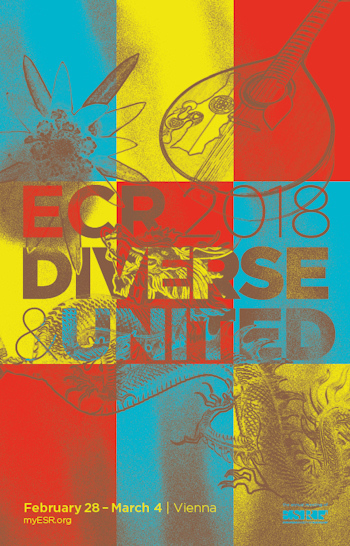 As a motto for ECR 2018 you chose "Diverse and United." Could you tell us a little about this? Radiology is such a diverse specialty, ranging from more and more refined diagnostic options to image-guided minimally invasive treatment options. Our specialty has something to offer for all of us and also for future generations of physicians, radiographers, and students. However, like in a mosaic, it is the connection of all the pieces that create the big picture. By using this metaphor, I wish to express my sincere wish and hope that, despite these different and interesting facets and subspecialties, radiologists should see themselves as a community and join forces to strengthen our specialty in the best interest of our patients. Abstract submission for ECR 2018 is still open until 10 October. The ECR has managed to maintain a high number, and more importantly, a high level of scientific abstracts over the years, even achieving a new record in the number of submissions for ECR 2017. Yes, that is very encouraging; it confirms our commitment and proves the level of high quality compared with international standards. Apart from the "classic" scientific abstract for a paper presentation, I would like to make sure potential submitters are aware of our modern presentation formats, such as "The Voice of EPOS", a platform for poster authors to present their posters in person, or our completely new format at ECR 2018, "My Thesis in 3 Minutes -- MyT3", as already mentioned. For radiology residents and trainee radiographers, the "Invest in the Youth" support program is of special interest. The ESR offers 1,000 places to young ESR members who submit a scientific abstract. Successful applicants receive free registration for the ECR and up to four nights' hotel accommodation. I am sure there are presentation opportunities for anyone who would like to be involved in the congress. Over the last couple of years the ECR has increased its appeal to radiographers. Where do you see further potential for this development? I see it as an obligation to commit ourselves even more to this and important steps have already been taken. Daily clinical radiology is teamwork, and radiographers are crucial members of the team. We are planning to pay more attention to the needs and interests of radiographers at the ECR in the future. To this end, we are in contact with the European Federation of Radiographer Societies (EFRS) and the national radiographer societies to tailor special sections of the program to their specific interests. As many radiographers see language as a major obstacle to attending the ECR, we are again offering sessions for radiographers simultaneously translated into French, German, Italian, and Spanish. In addition, we have initiated a new support program specifically for radiographers: "Shape your Skills" is dedicated to radiographers at the beginning of their career and supports 500 professionals by giving them free registration for the ECR and two nights' hotel accommodation. More information on ECR 2018 is available at www.myESR.org.